I am sure every DSLR video shooter shares this experience. 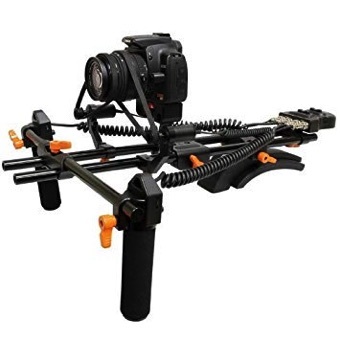 Ever since we have the so-called DSLR video revolution, anyone looking to get into this game must build their own camera rig with all kinds of third-party components as if making a science project. Finding the right combination of lenses, lens adapters, rig cages, focus gears rings, follow focus systems… All of these takes a lot of time and energy to experiment and to troubleshoot, while we should really be focusing our time on our own artistic growth. The worse thing is, despite all the time and money we spent, the resulting rigs we built are never very good. They are unreliable, clumpsy to use, and not very ergonomic. All such desperate attempts in rig-building are primarily meant to provide a means of focus control. At the heart of this problem is the fact that camera manufacturers have failed to provide a good solution for focus pulling as part of their camera design. Would you call these “monsters” user-friendly? With the incredible progress in autofocus technology, can AF help us achieve good focus pulling, or even replace MF altogether? The answer is a resounding NO. Autofocus IS NOT and WILL NEVER be a good solution for video professionals. I have tried the AF in some of the latest cameras in the market. While I am impressed by the new technologies (e.g. facial recognition, subject tracking, etc. ), I find them only useful under very specific and limited conditions. Perhaps AF can be useful when I am on a small gimbal without a camera assistant to pull focus, and if I only need to follow ONE actor. Maybe I can give AF a try when I am shooting a sit-down interview on a slider. But these situations are just “kindergarten focus pulling”. Real focus-pulling in a professional setting is much more complicated. It often involves multiple actors and multiple marks. The camera may be panning from actor to actor, who may or may not be hitting their marks. We need to time our focus shift with dialogue beats, action beats, and mood beats. Sometimes we need to predict the action and rack focus before the actor moves. Sometimes we don’t want to focus on the actor’s eyes. In fact, even the term “follow focus” can be misleading because sometimes we try to not follow anything at all in order to create a certain mood. Until the day arrives when a computer can understand dialogues, emotion, and esthetics, it is only foolish to think that AF can replace a focus puller. I would even argue that, the reason why some video shooters would even try using AF is only because there is no good MF control available to them. If we have a way to control MF reliably, most of us wouldn’t even need to bother with AF at all. There is an element of performing art in focus pulling. The focus wheel to a focus puller is like the piano keys to a pianist. A focus puller’s distance scale is like a musician’s octave scale. A real focus puller thinks in terms of feet and inches, and prefer to have total control of focal distance. Then there is rhythm and timing in focus pulling, just like a music does. For the same reasons why an piano app on an iPad can never replace a real piano, touchscreen tapping can never truly replace the focus wheel. If you want to build a camera that is loved by real professionals, you must first understand and respect the way a professional works. Skeptics may say, “if you care so much about the art of focus pulling, you should be using those big, expensive camera systems”. This is certainly not true. Even big Hollywood productions have a need for small cameras with good focus control. I once spoke with cinematographer Tom Stern, ASC, about his experience shooting the movie American Sniper (2014). He shared that one day they had an interior helicopter scene, and it took a very long time to set up their Alexa XT cameras inside the tiny space. Director Clint Eastwood figured they were running out of time and made the call to “let’s bring in that little cameras”. They ended up shooting the whole scene with the Blackmagic Pocket Camera. In retrospect, Mr. Stern expressed disappointment with the Blackmagic Pocket Camera for two reasons: 1) the image quality was still quite far behind the Alexa, and the footage didn’t match well; 2) the small camera wasn’t so small anymore after the cinema lens and the Preston follow focus system were mounted. Sadly, four years after the movie was made, we still don’t have a small camera that fully answers Mr. Stern’s demands. How Should Focus Control Be Implemented in Lumix S? Here is a design that I would like propose to Panasonic. 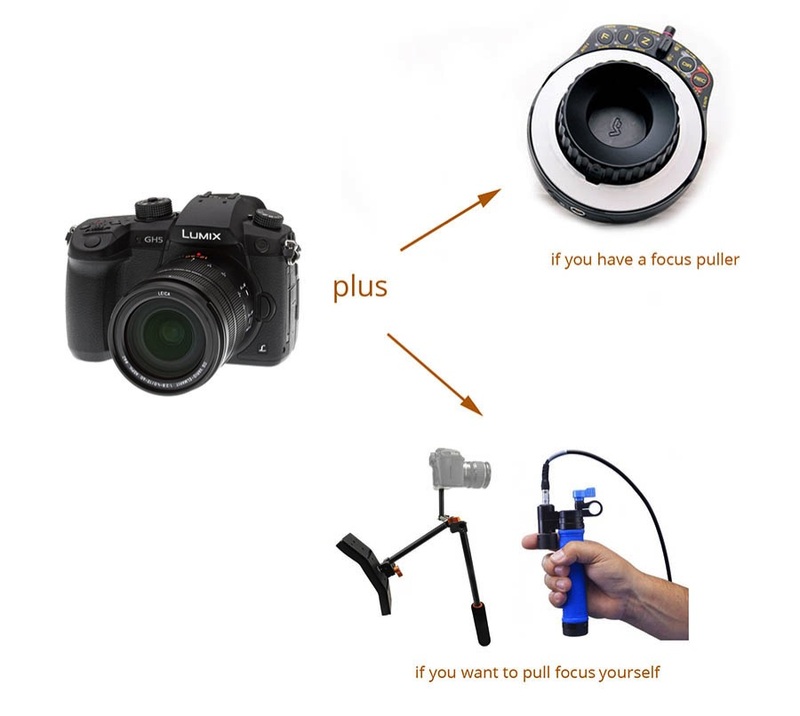 A manual focus control system that is simple, effective, and make sense to professionals. It is also highly doable if Panasonic really wants to make it. 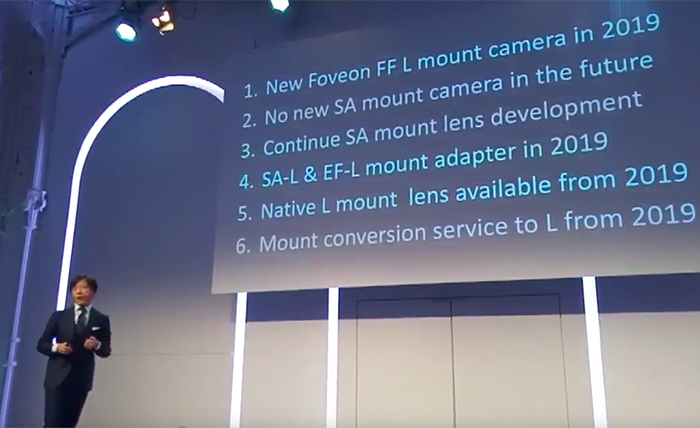 There is already an AF motor inside each native lens. Why don’t we make a wireless controller to take advange of it? 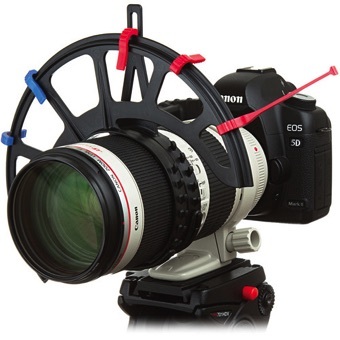 The focus controller should have a large hand wheel, just like those professional wireless follow focus. The hand wheel should have hard stops on both ends. It should also contorol aperture, zoom, and start/stop of the recording. A thumb wheel version can be created for single operator shooting. The thumb wheel does not need to have hard stops. But it should work in tandem with the wireless hand controller, so that a camera operator and focus puller can work together during shooting. With the success of hybrid camera designed for photo & video shooting, don’t you think we need hybrid lenses too? Traditionally, professional focus pulling requires the use of cinema lenses, which are manufactured to a much higher price bracket. I believe the gap between cinema and photo lenses can be closed if Panasonic’s engineers are willing to think outside the box. A side note to our Panasonic marketing department. Here is a real marketing opportunity. A pro series of well-designed hybrid lenses optimized for video shooting will give us great reasons to buy your lenses. Users who invest a lot of money in your lenses will become loyal users. The internal lens motor must be smooth and quietduring focus pulls. We don’t want the focus pull to move in steps, and we don’t want to make our sound guy angry. Same for aperture. Parfocal zooms. The optical design of traditional motion-picture zoom lenses are parfocal (i.e. no focus shift during zoom), but they are large and expensive. I propose that an internal data table can be used to electronically compensate for the focus shift of an non-parfocal lens to mimic the behavior of a parfocal lens. If this can be done, all of a sudden, non-parfocal optical designs that are compact and affordable can now be used for motion-picture. This is big! i) speed mode: the speed of zooming is controlled by a force sensitive button (rocker switch), just like a LANC controller or the Microforce lens control system. ii) position mode: camera operator can grab on the zoom ring and quickly rack the zoom to a specific position, and it should be repeatable. 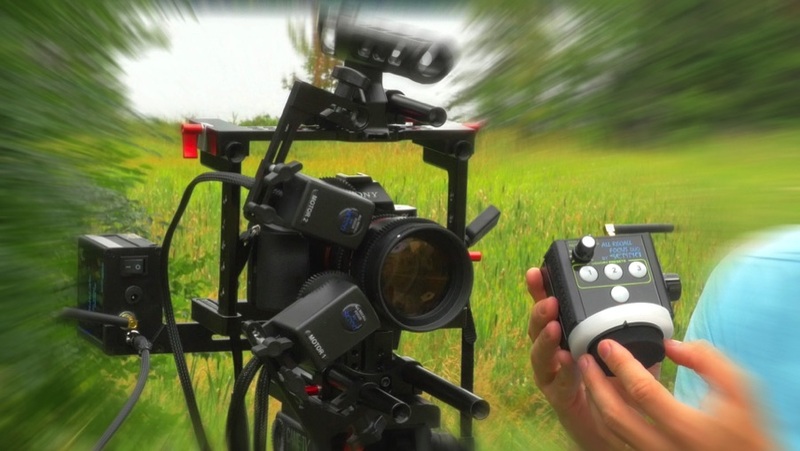 Both modes of zooming are useful to professional filmmakers depending on the situations. eg. An emotional close-up shot would call for slow creeping zoom, while a quick action scene calls for snappy, confident zooms. Minimal amount of breathing. Real cinema lenses has some breathing too. I don’t need absolute zero breathing, but it shouldn’t be distracting. A good sense of focal distance is central to the craft of a focus puller, who spent years training his/her ability to judge distance by naked eyes. A clear display of the focal distance scale is an essentical requirement for focus pullers to do their job. The camera LCD, EVF, and video output should have the option to display the distance scale, and it should be clearly marked. The distance scale display should have minimal delay. 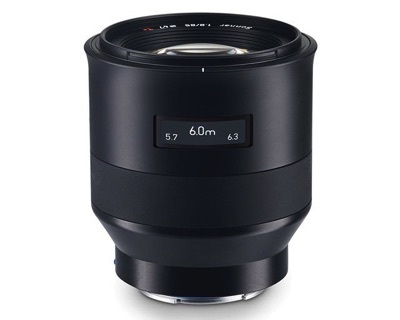 The focus ring on the lens should have the distance scale clearly engraved (preferred), or should have an OLED screen to show the focal distance (less preferred). A Zeiss Batis lens with focal distance displayed on a OLED screen. But I prefer an engraved distance scale on the focus ring because it is more tactile and more intuitive to pull focus with. With a marked focus ring, I know exactly how far I need to turn the focus ring to go from 3 feet to 12 feet. I can also put tape marks on the focus scale. This very important detail is rarely talked about. All the above features designed for good focus pulling is in vain if the flange depth of each camera body is inconsistent. It is a fact that every individual camera body has a slight variance in flange depth due to manufacturing tolerance. Autofocus cameras are allowed to have more flange depth variance than MF cameras because the AF motor can compensate for it. The on-sensor AF detection of mirrorless cameras makes such compensation even easier to perform. 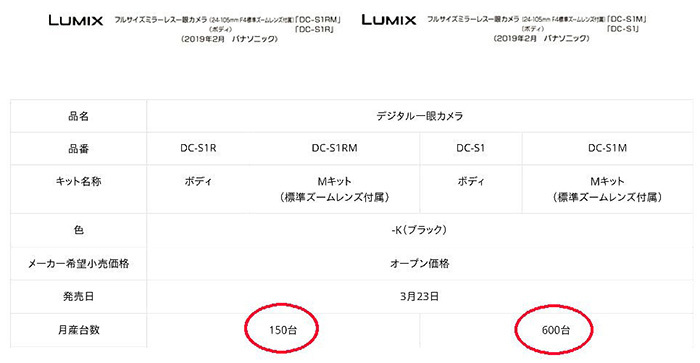 However, the MF system I propose requires a data table in each lens to work with all Lumix-S camera bodies. Variance in the flange depth between different Lumix-S bodies will throw off the accuracy of the data table and render it useless. Real cinema cameras like the Alexa have interchangeable shims behind the lens mount to ensure perfect flange depth, especially when there is a big change in environmental temperature. The same shimmable design is useful for the Lumix-S, but it may be too expensive to manufacture. Another possible solution is to design an automated algorithm to measure the variance of each camera-lens combination. When a lens is mounted for the first time, the camera would ask the user to point the camera towards a far-away object. Then the camera would figure out the flange depth of this combination, identify the lens, and store the information for future use. The DJI X7 camera system is a good example with such flange depth compensation algorithm. Camera reviews like to compare the size of camera bodies. But I think it makes more practical sense to consider the size of a whole camera setup in its operational state. You may be surprised how such a MF control system can shrink down a whole camera setup in a meaningful way. Today, AF technology is still far from useful for real professionals, but the technology to design a good MF control system is readily available. In fact, such MF control systems have been successfully created in the past. They take advantage of the internal motor of photo lenses, and they are accurate enough for professional focus pullers. Many filmmakers, myself included, who have direct experience with them are generally quite happy with these systems. I am sure Panasonic can do even better if they want to. Back in 2007, a small American firm, Birger Engineering, created a smart EF mount with wireless capability. It allows precise, repeatable focus pulling with Canon EF lenses. But it is not perfect. Users need to make their own distance marking disc for each lens, and the marks can be off when you switch camera bodies, or if you use another lens of the same model. This setup requires a lot more DIYing to work. It took me two months of research and experiments to come up with a setup that is quite practical and reliable. I am able to perform repeatable focus pulling that is accurate down to feet and inches. The RC controller even allows me to remotely control aperture, shutter angle, ISO, white balance, start/stop, and even audio level. I wrote a dedicated post about this setup (READ MORE). While we are at it, here are some good-to-have features that I’d like to see in the Lumix-S system. But they are not nearly as important as a good focus control system. – GH5-style Flip-out Screen. It is already so good. Don’t change it. – High-bright Screen. Make it viewable under sunlight. I know it eats battery and heats up quick. But it really is super useful outdoor. – Ergonomics. For the video-centric pro model, please, don’t make it too large, otherwise the whole talk about small cameras getting good focus control becomes moot. At least give us one video-centric model with DSLR-like form factor. 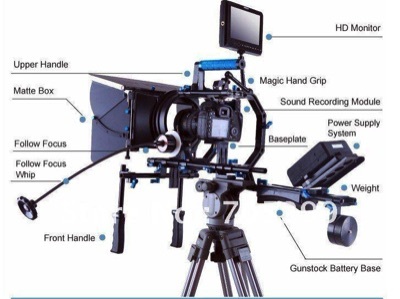 And please, for god’s sake, don’t make it shaped like the Canon C100 / C300. They have the worst ergonomics. What does “DSLR revolution” really mean? What makes it unique from other technological breakthroughs in cinematography? Smaller, cheaper cameras? Better image quality? Easier to learn? 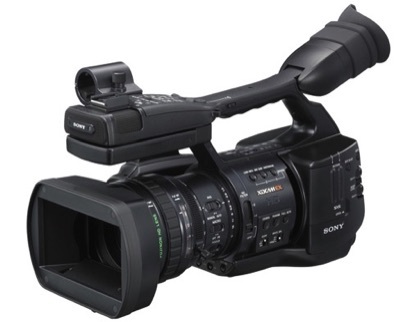 One can also argue that a Sony EX1 camcorder shoots sharper image, is easier to shoot with, and is often smaller and cheaper than a full Canon 5D rig. The true significance of the DSLR revolution is that cinematic depth-of-field becomes accessible to the mass. For the first time, DSLR technology makes DOF control affordable, which gives rise to the defining aesthetic of this revolution that changes so much of our visual culture today. More than a decade has passed since the surprise success of the Canon 5D launched the revolution. Camera makers responded by primarily focusing their efforts on improving image quality, but they have failed to make fundamental progress in the one thing that defines this revolution – DOF control. DOF control is more than having a shallow DOF. It is the control of where to place the DOF at what time. It is an area that is long overdue for some innovation. Today, image quality from different cameras are becoming more and more similar as sensors are getting better. The future battle for camera makers will be about the integration and streamlining of camera functionalities. Overall user experience will become a more important factor than absolute image quality and specs when cameramen choose their cameras. A good focus control system will play an important role in it. 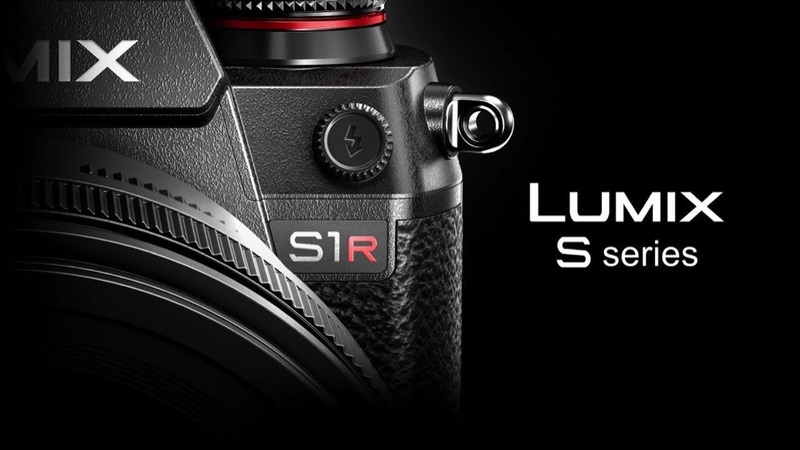 The Lumix S1 and SR1 are getting ready for launch. But I am sure a video-centric pro version is in the oven, and it will be the best candidate for a reinvented focus control system. I, for one, will gladly pay an extra thousand dollar just to have this feature in my camera plus another grand to buy the hand controller, easily. Panasonic, you are at the best position to tackle this problem. No third-party company can do it for you. 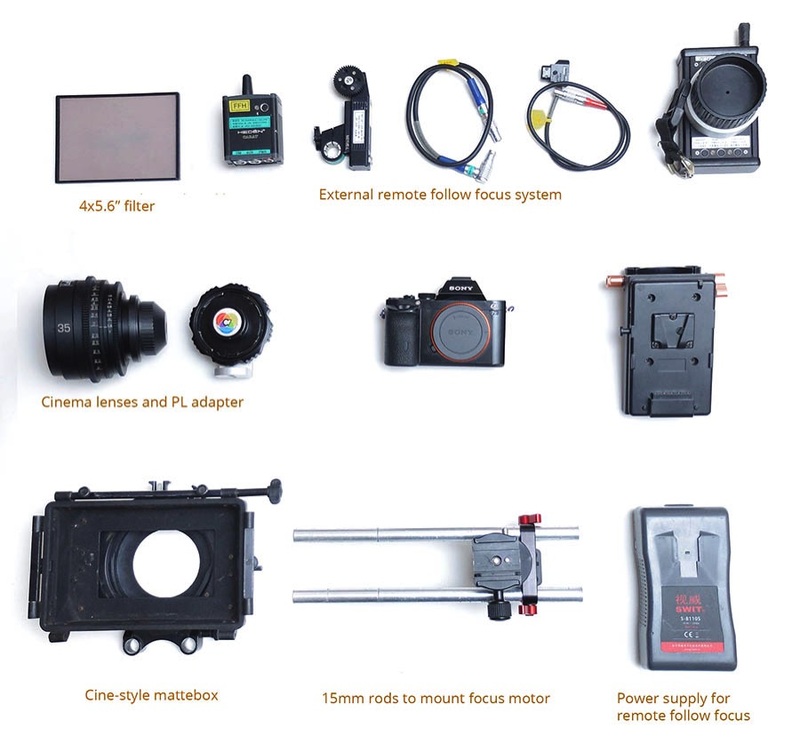 A good focus control system can drive camera and lens sale. It will elevate Lumix S to become much more than a just great camera, but a great SYSTEM that video professionals want to buy. And please, don’t let Sony do it first. 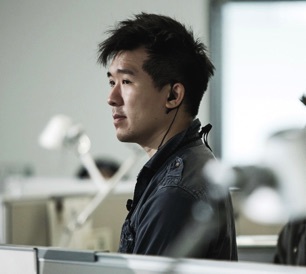 Jack Lam is a cinematographer based in Beijing and Hong Kong. His body of works includes TV commericals, seasonal TV drama series, and theatrical feature films. His commercial clients include Cathay Pacific, Lenovo, Airbnb, Alibaba, and Mandarin Oriental Hotel Group. His feature films in China are commercial successes. 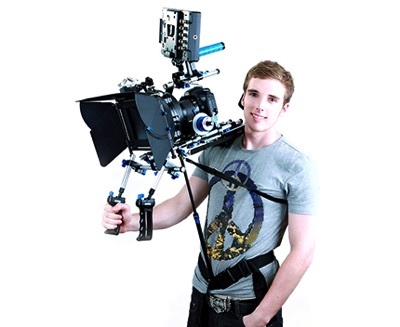 Jack also works with DJI as a design consultant for their cinema products. Jack is a graduate of Tisch School of the Arts at New York University, where he received two Excellence in Cinematography Awards. He then further pursued his craft at the prestigious FAMU conservatory in Czech Republic. previous post: Sounds like Olympus will NEVER join the L-mount system!